Book to Screen Adaptations We Need! *additional dramatic flair injected into this blog post for emphasis. These are books that have already been “picked up” by movie studios — in some cases, with specific directors attached — but we haven’t heard a peep about them in awhile! Karen reported on this news in 2012. 2012! Since she and I are way older than Kidsmomo readers, it’s quite possible we will be in our graveyards by the time the movie comes out. The author announced the movie is in the works, but no other news yet… A World Without Princes? 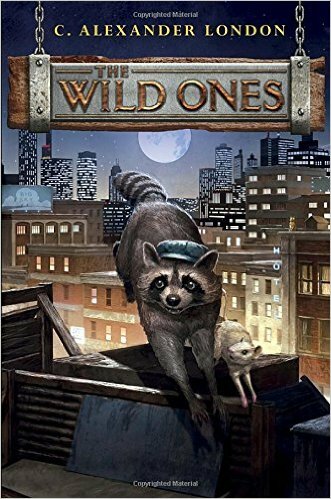 How are we to survive in a world without this movie adaptation?! In August, Jennifer Nielsen announced that the script was in progress, so this adaptation seems to be the furthest along. Hopefully we’ll see it soon! 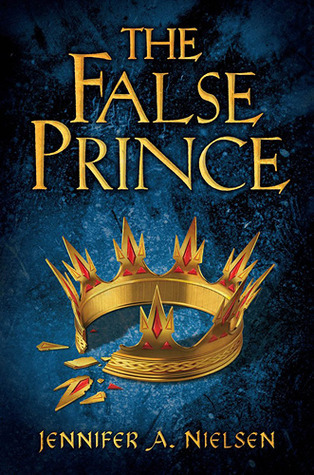 Otherwise, I’ll be upset that I was given false hope about seeing The False Prince on screen! This series would be better adapted as a television series. With the complicated twists and turns in the plot and deep back stories of interesting characters, how could a 90-minute movie do one book justice, let alone the whole series? If it were a television series, we could watch Reynie, Sticky, and Constance’s adventure unfold over many hours. Days. Weeks. Months. Years. Decades! Okay, not decades. I went too far. If there’s one thing the comments on our super-funny-but-turns-out-not-funny-hurt-a-lot-of-people’s-feelings-really-sorry-about-that April Fool’s blog post has taught us, it’s that this series NEEDS to be made into a movie! 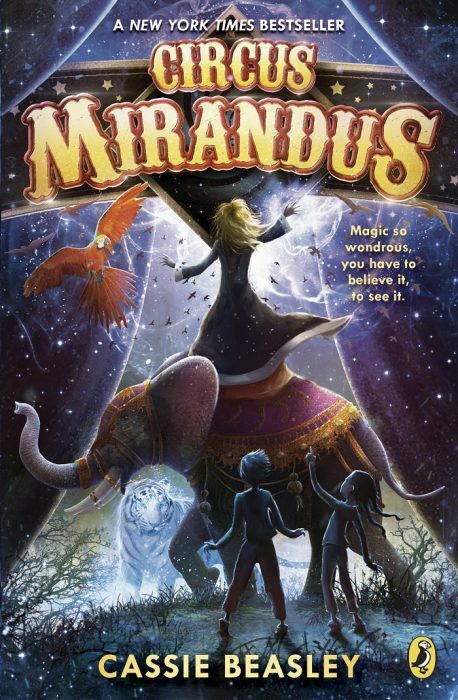 As I expressed vehemently in our review of Circus Mirandus, this magical book would be wonderful on the silver screen! But if I had to choose, I’d rather get a book sequel instead. Please don’t make me choose! 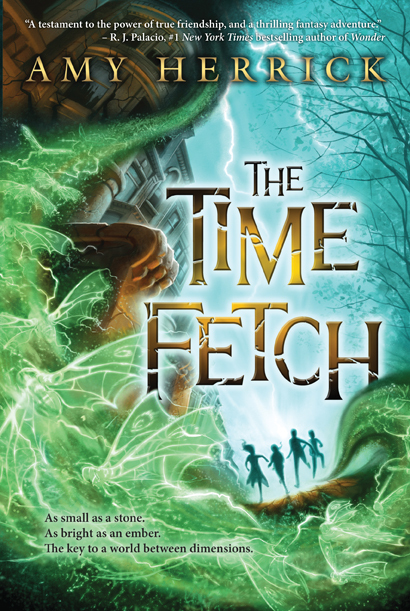 Time travel is tricky, but with the right script adaptation for this action-packed book, a science fiction fantasy movie could be the TIME of your life. Yuk yuk yuk. 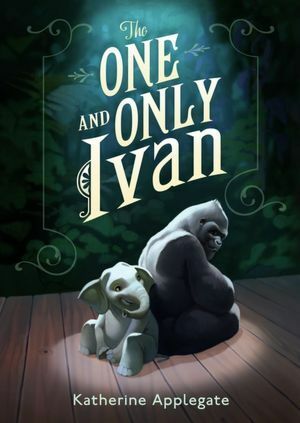 Both of these books are excellent in their own right, but I mostly just can’t get enough of animated animals, especially when they have a lot of personality. I mean, c’mon. If Hollywood can make a gold-stealing Niffler believable, they can definitely make silverback gorilla and wild raccoon tribes come to life. Digitally, of course. Because a gorilla would be quite dangerous to work with, and can you imagine the mess raccoons would make? 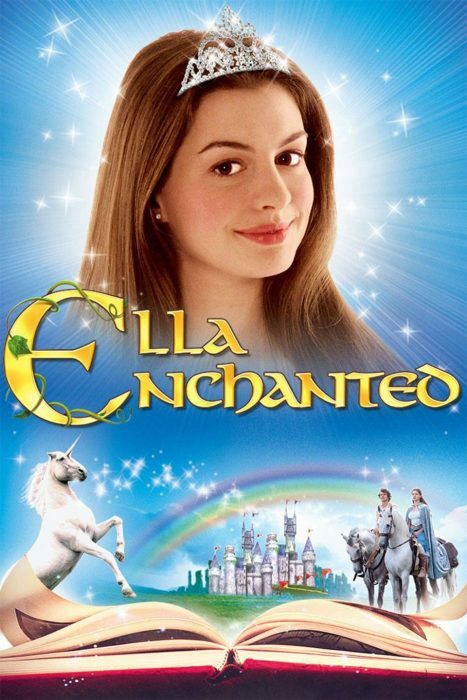 The 2004 Ella Enchanted movie was very sweet, but this book should be remade for today’s audiences. 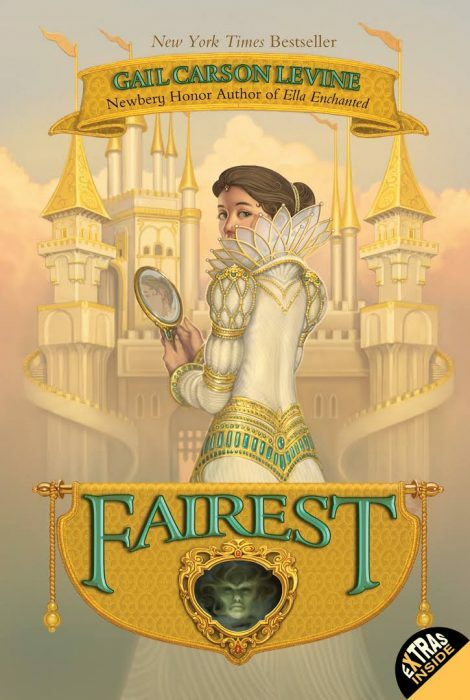 Fairy tales are all the rage these days, so Hollywood could tackle Fairest, too! 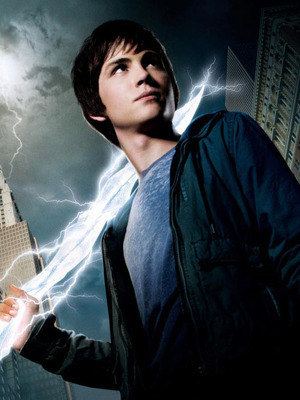 The Lightning Thief and Sea of Monsters were fun, and we can all agree that Logan Lerman is dreamy, but like Inkheart, it would be wonderful to see a more true adaptation of the books (and the rest of the series!). A TV series, perhaps? Do you have anything you want to add to this list that should be made for the big or small screen? Or do any of these picks rile you up and you’d refuse to watch them even if you were dragged kicking and screaming into the theater? Let us know in the comments below! Nancy enjoys re-watching a movie adaptation of a book, then midway she’ll stop the movie to re-read the book, then go back to the movie, and vice versa. It’s a process. Now that the weather is cooler, I’m so excited about curling up on the couch with a good book, a warm blanket, and a hot cider. And you know another good spot for staying toasty indoors as the days get colder? The movie theater! Just released in theater’s yesterday, you can now visit Miss Peregrine’s Home for Peculiar Children (based on the series by Ransom Riggs). 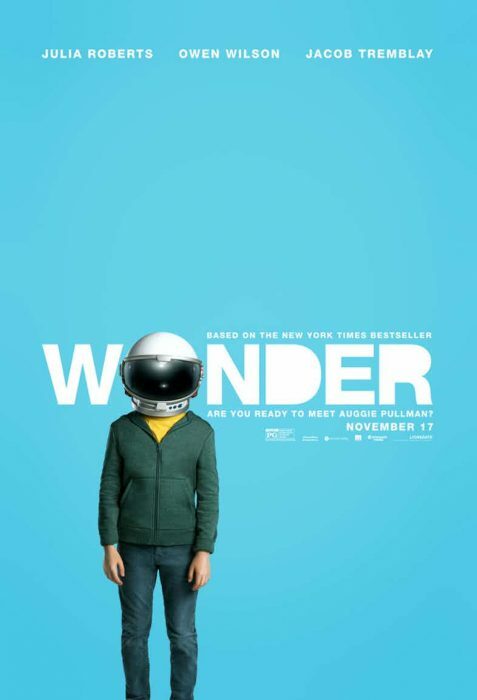 Judging from the trailer, it looks so good that you may wish for a time loop so you can see it again and again! And, of course, we here at Kidsmomo are monstrously excited about Fantastic Beasts and Where to Find Them, coming out in November. In the spring, we shared an early trailer for the movie. Now check out the very latest trailer that was just revealed by Warner Bros! AAAAAAAAAAAHHHHHHHHH!!!!!!!!!!! That looks so awesome!!!!! Ahem. Sorry, got a little carried away there… Anyway, are you planning to see any of these movies? Leave a comment about which ones you’re going to watch! Karen is very excited for what J.K. Rowling has called “the dawn of the Age of Hufflepuff,” ushered in by Newt Scamander’s central role in the upcoming Fantastic Beasts movie. Go, badgers! Books to Big Screen: Trailer Time! The universe seems to think it’s my birthday, because the Interwebs just delivered three shiny presents to my doorstep! And luckily for you guys, I’m going to share my good fortune! Well, actually, the three presents I speak of are really three new trailers for movies based on children’s books — so technically I’m not sharing anything you couldn’t just find online yourself. But hey, I’m saving you some Googling, right? Enough talk, let’s get to the trailers! To be totally honest, I never guessed Patrick Ness’ A Monster Calls would become a movie. The story of a boy struggling with his mother’s terminal illness is super intense, heartbreaking, and dark — and as you read, it’s kind of hard to know how all the pieces fit together. I’m curious to see how this movie makes it work, but based on the trailer, it seems like they’ve got it figured out! What do you think of the trailers? How do you think they compare to the original books? Which movie are you most excited to see? Leave a comment with your thoughts! To be totally honest again, Karen may not see the movie adaptation of A Monster Calls. It looks scaaaaaaaaary! I like the book because the book explains how the movie came together. How the scenes and scripts get pulled and combined together. The book talks about who is the crew and director. 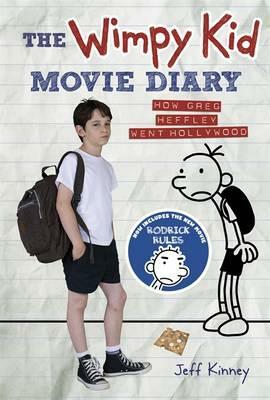 The book shows you who the characters are in the movie. The script in the book talks about a lot and wether the parts are still ok to stay in or not. There are two friends that are from different places. You need to read the book to find out what happens and ends up happening about how the producers and scenes come together. Are you ready to let out a blood-curdling scream and jump in your seat from fear… in 2016?! Because that’s when GOOSEBUMPS is coming to a theater near you! Even though I’m not a huge fan of the horror genre (because I’m a scaredy-cat), I enjoy a good scare once in a while, and R.L. 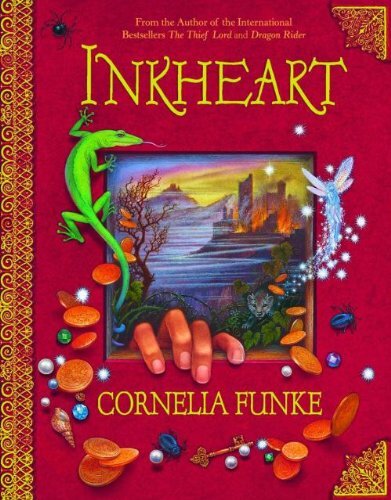 Stine’s books are a great go-to series for goosebumps on your arm (see what I did there?). 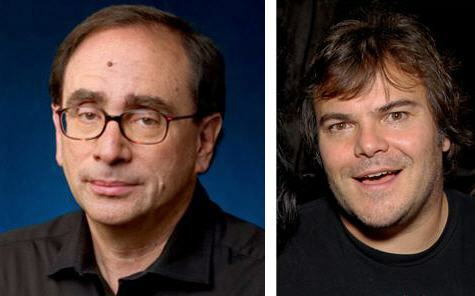 Jack Black will play author R.L. Stine: I don’t see a resemblance, but Jack Black is always pretty fun in movies! Odeya Rush will play his niece, Hannah — Odeya is also in this year’s upcoming adaptation of The Giver. Dylan Minette will play a character who moves from NYC to the small town of Greendale, Maryland and befriends Hannah. Here’s a description of the movie from a news article — but keep in mind that quite a lot can change from the movie announcement to the final release! So it sounds like Slappy the Dummy will be making an appearance… That wooden doll is quite a bugger! It comes out March 23, 2016 — that’s just a short 749 days away! Hopefully the movie will not just be scary, but funny too, and with plenty of the plot twists and surprise endings that are always in R.L. Stine’s books! What was your favorite Goosebumps book, and do you think it’d make a good movie? Note: Nancy’s giant head is only slightly smaller than the happy face shown. The yellow brick road. The Emerald City. Flying monkeys. Poppy fields. Munchkins. And of course, witches. 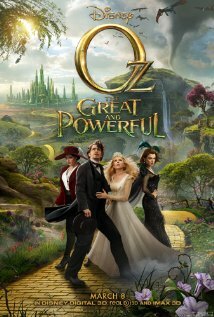 All our favorite parts of the marvelous land of Oz come to life again in the new movie Oz, The Great and Powerful. But can it live up to the classic books by L. Frank Baum and the beloved 1939 film? Obviously, we had to investigate. So we bravely made our way through the crowds to see Oz on opening night — seriously, there were more excited movie-goers fighting for seats than warts on a witch’s chin. And were we rewarded for our efforts? KAREN: I was pleasantly surprised! Before we watched the movie, I knew it didn’t get very good reviews, so I went in with low expectations. KAREN: Disagree again! I really didn’t love all the computer-generated settings, like the gigantic flowers and the green crystals that some of the characters floated over. It looked too obviously computer-generated to me, compared to how realistic Pixar makes nature look in their movies. NANCY: Okay, well, maybe we can agree on this: You know what character I especially liked? The flying monkey servant, Finley. He was adorable! And so funny. We can’t take credit for making any of these images — all taken from the Interwebs! The Hobbit: In a theater in your town there played a movie. And if you didn’t know that the movie adaptation of J.R.R. 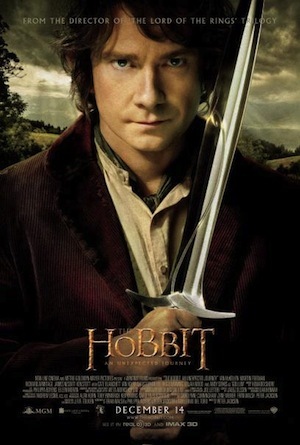 Tolkien’s classic novel The Hobbit was coming to theaters this Friday… then perhaps you’ve been living in a hole! In case you were indeed in that hole, let me pull you out: Bilbo Baggins, a hobbit, reluctantly joins a band of dwarves (Thorin, Dwalin, Balin, Fíli, Kíli, Dori, Nori, Ori, Glóin, Óin, Bifur, Bofur, and *deep breath* Bombur) to recapture their mountain and recover treasure from the dragon Smaug. Wizards, elves, goblins, trolls, and giant spiders also included. What you might not know… is that this is actually the first of three movies, all adapted from the 310-page book. That’s pretty much the same length as Harry Potter and the Sorcerer’s Stone (309 pages) and that was only one movie! (Uh, spoiler alert much, movie producers? Now anyone — well, anyone who hasn’t read the books or watched other adaptations of the book — knows that Smaug, the eloquent and greedy dragon, becomes desolated. Uncool). 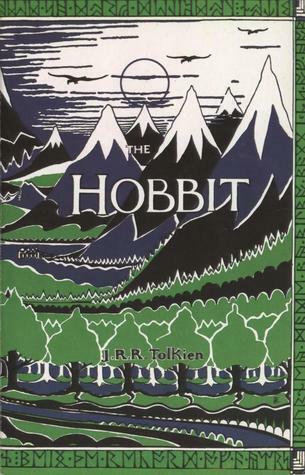 I’m going to carve out some time this week to re-read The Hobbit before I see the movie! Even if it means sleeping an hour or two less, which if memory serves, won’t be so difficult — because I remember the book being awesome! Have you read The Hobbit? Are you going to catch it in theaters during winter break? 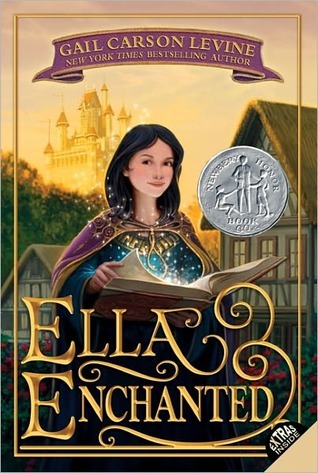 Leave a comment or send in a review of the book, just like Mira, age 11 from Colorado did! Nancy relates well with Bilbo Baggins because he enjoys eating and thinks about food all the time. I think we all do, especially during holiday snacking season! 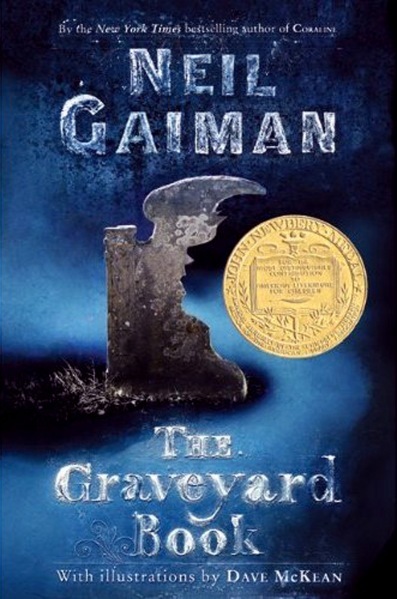 If you enjoyed going to the theater and munching on popcorn as you watched Coraline flee from button-eye wielding alterna-parents in the movie version of Neil Gaiman’s Coraline, then you’re in luck — Disney has announced a film adaptation of Gaiman’s Newbery winner, The Graveyard Book! The movie will be directed by Henry Selick, who did the Coraline movie. Disney hasn’t said whether The Graveyard Book will be live-action or animated, but my hope is that it will be stop-motion in the same visual style as Coraline. Also no word on the release date. They actually don’t even have a screenwriter yet, so I think we’re in for a looooooooooong wait… The upside? 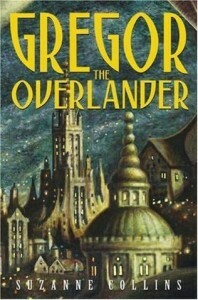 More time to re-read the book, or discover it for the first time if you haven’t read it before. And if that’s the case, you can get the scoop on the story in this podcast, where I made The Graveyard Book my Halloween pick. But what about you? 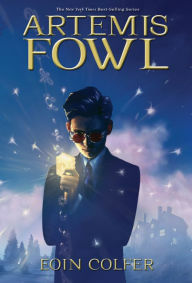 Have you read the book, and would you see the movie? Leave a comment and let me know!